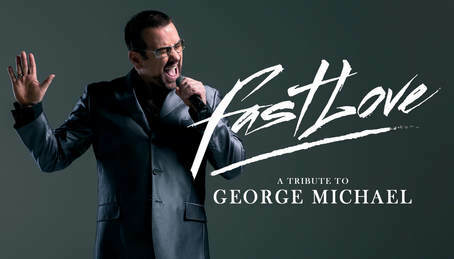 Get ready for an unforgettable evening with a global superstar, as he puts the Boom Boom into your heart in the UK’s number 1 tribute to George Michael, Fastlove. The show is packed with crowd pleasing anthems. From the Wham classics of the new pop revival to the chart-topping success of the eighties album Faith, plus the awesome tunes of the nineties and noughties. You’ll be getting up (to get down) to all your favourite songs: Careless Whisper, Freedom, Faith, Father Figure, Outside, Jesus To A Child and many more. Relive the passion, the flare, and the unique sensitivity of George Michael in this incredible concert sensation staring special guest Ed Barker. Ed’s live solo sax performance on Cowboys And Angels put him on the map and lead to incredible success in his own right. ​A unique background in jazz, pop and classic music means Ed fuses a myriad of musical traditions with every piece of music he creates. It is this diversity that has saw Ed’s debut album, Simple Truth, rocket up the US independent charts and saw Ed step away from his career as a speech writer for senior British politicians. 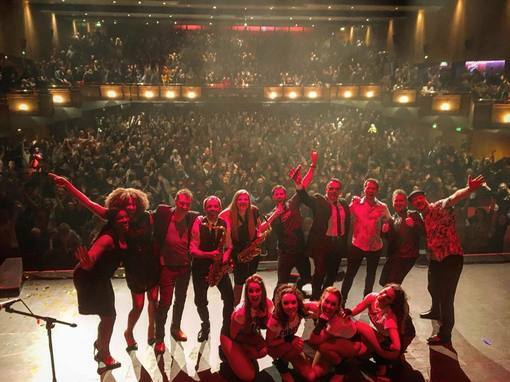 Since his karaoke days Joseph has gone on to perform alongside countless famous artists such as Sir Bob Geldof, Billy Ocean, Level 42, Rick Astley, M People, the Sugarbabes, UB40 and many more. He has even made several appearances to crowds of 32,000 at his home football club Leicester City! His passion for music was evident from an early age and he took every opportunity to sing. As he grew his main musical influences came from bands such as The Eagles, Dire Straits and The Beatles but George Michael became the biggest. Joseph loves to perform all of George Michael’s classic hits but it is the ballads that really stand out for him, saying that the wonderful “A Different Corner” is the song that he can relate to the most. The Fastlove tour is the most exciting project of Joseph’s career so far and along with the extremely talented team around him, he aims to deliver a spectacular show for everyone that George himself would have been proud of. 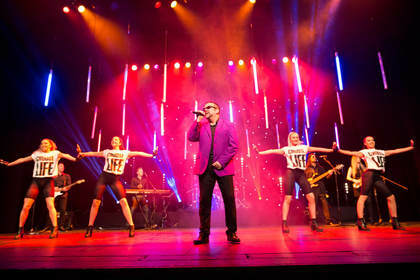 In 2012, Ed Barker, performed sax solo for one of the world’s most iconic pop musicians, George Michael. Ed performed to tens of thousands of fans around the UK as George introduced him personally to the crowd each night. And yet Ed was, at the same time, working in quite a different field making frequent visits to the British Parliament writing speeches for senior British politicians! So, after the tour with George Michael, Ed decided to put this to test as he put together his debut solo album, Simple Truth with some unexpected results… Within a couple of months of the album’s release, one of the songs charted – not in the more niche US jazz charts but in the US pop charts! GEORGE MICHAEL "On the saxophone, Mr Ed Barker!" Liz Ellis, BBC RADIO STOKE "Ed’s music is so crisp and refreshing, truly uplifting, such a pleasure to sit back and fall in love with the sax again..."
Richard Niles, BBC RADIO 2 "Young, energetic and unafraid…listen and look out!" "Having seen George Michael in concert many times over the years, including with Wham, I have to admit that I wasn't expecting much, but I was impressed! During Jesus to a Child I could have closed my eyes and thought it was actually George there singing. It was a great atmosphere with everyone on their feet by the end. Thoroughly enjoyed it. I did feel that he struggled in places on some songs though. But overall a good night out."